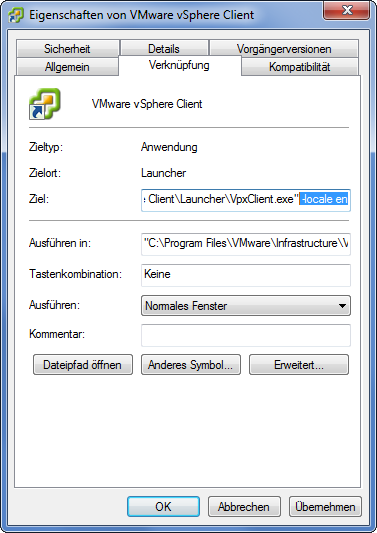 To force the legacy C# vSphere Client to use English you need to edit the desktop (or start menu) shortcut of the application and append the parameter -locale en to the target string, separated by a leading blank. 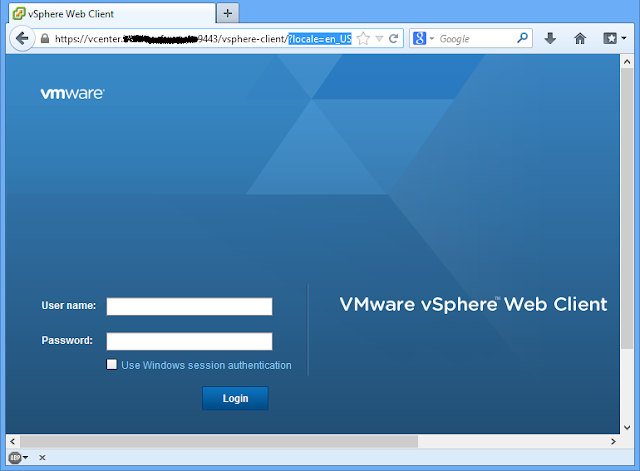 In the new vSphere Web Client you need to append the string ?locale=en_US to the start URL. The change made with SetLocale() will only be valid until you disconnect the vCenter session. On a reconnect or with a later PowerCLI session the language setting will revert to what is defined as DefaultLocale. Yeah, apart from being harder to troubleshoot because of limited online resources, most translations just sound horribly awkward, so I use an English OS/application/site etc wherever possible. As with most webapps, the language of the WebClient is governed by the Accept-Language header your browser sends, so you could configure that in your browser too if you're alright with most other websites displaying their English version by default too (that's what I'm doing). Thank you for your comments and additions, much appreciated! I was aware of KB1015646, but I find it to be a too massive intervention to copy configuration files around. There should be an easier, less intrusive way to do this. Thanks a lot for this post - just what I was looking for! I always used to start my client in English, because the German translation is... less intuitive. Now I needed to change the language in a PowerCLI-script that reports alarm settings.